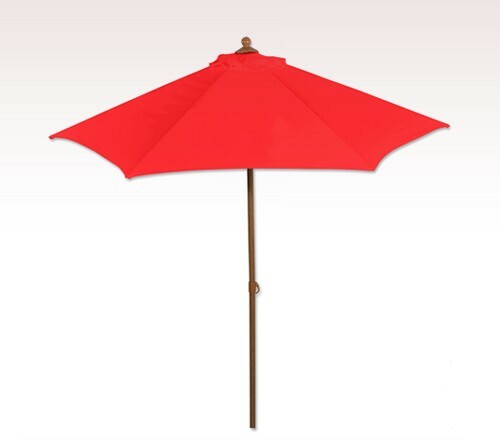 Personalized red 6 ft polyester market umbrellas can easily buy attention of the crowd with its specialized construction and passionate canopy! This indulging canopy can host 3 people at any time. It is often installed at market places as a billboard or extension of the business. Marketers in hospitality, entertainment and other service niches are finding it beneficial for their business because they know that it will easily attract customers. Features - Aluminum frame with wooden grain appearance. 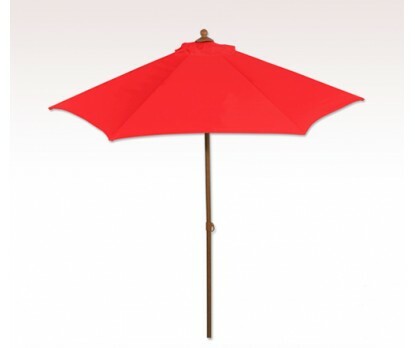 6 ft market umbrella. Tilt feature. Red polyester Cover with wind vents. 6 panel configuration. Imprint area : 18"w x 18"h.